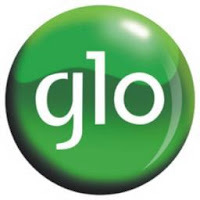 Glo cheat ( free browsing) is now available for Java and Symbian users. Both mobile phone OS have been abandoned by most mobile Phone users for Android, making mtn cheat , glo cheat, Airtel cheat and also etisalat free browsing scarce on those devices. This latest browsing tweak for Glo is unlimited and requires 0.0k for it to work ( meaning you don't need to have a kobo on your account). With this Glo 0.0k tweak, you can access the internet for free using only handler apps such as Facebook , UCmini, 2go, Eskimo, Baddo, and other java or symbian handler apps. 1. download Operamini Handler or Ucmini Handler browser. 2. Get a Glo SIM with 0.0k balance. SAVE the above settings and start to browse with your Opera Handler and for the Uc browser, it will automatically browse using the glo APN settings above. Enjoy your free browsing!